¶ 2 Leave a comment on paragraph 2 0 Speaking to the Society of American Philatelists that same year, Eilenberger demonstrated the shift to honoring subjects of “national importance” of the new regime. Designed and issued soon after the establishment of the National Recovery Administration (NRA) in 1933, the National Emergency Relief stamp worked to influence participation in and support of FDR’s earliest New Deal initiatives. FDR established the NRA with an executive order to promote industrial planning in establishing codes to regulate labor, prices, and production. To make the NRA stamp fit logically with the spirit of the existing commemorative stamp program, Eilenberger created a narrative of American progress that wove together the stories behind two other commemorative stamps issued by Hoover’s administration in 1933. ¶ 8 Leave a comment on paragraph 8 0 Although starting strongly, the NRA struggled in 1934 to work with private industry, even when those businesses received exemptions from other federal regulations. According to Eilenberger, if everyone cooperated with the administration’s recovery efforts—big industry magnates and trade manufacturers, farmers and factory workers—then the stamp would represent the beginning of the end of economic hardship. 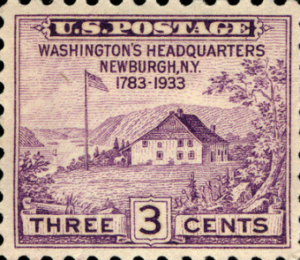 According to Department, the stamp depicted “a farmer, a business man, an industrial worker, and a woman employee united in a common effort to banish unemployment and distress from the land.” If the same “courage and perseverance” read in the historical scenes represented on stamps was shown by the American people in the 1930s, then, Eilenberger declared, “the National Recovery Stamp will indeed be a memorial of victory.”4 On the other hand, a white woman stands as an independent person walking equally next to the industrial worker, farmer, and business man. Three of the four are looking ahead in the same direction with a “common determination.” This image also represents nameless citizens (everyman) who are not soldiers or fighting in the name of independence. Instead, they are going to work together with a shared purpose, on equal ground. ¶ 9 Leave a comment on paragraph 9 0 In the stamp’s image, the business man stands slightly apart from the others as he looks directly out of the stamp to its viewers. Collectors noticed this difference and wrote to both the Postmaster General and to President Roosevelt asking why the individual representing “Business or Capital is out of step” with the others when the stamp should represent the nation moving forward together. 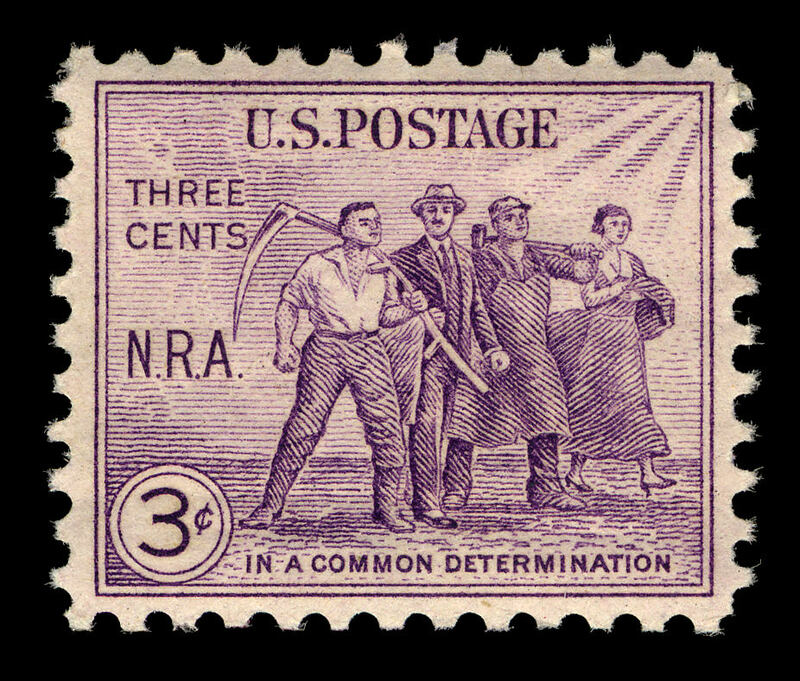 Department responses to collectors noted that the image came from an NRA poster indicating that in fact the business man is “a pivotal figure of the group, rather than being out of step.”5 An alternative stamp design actually drew FDR into the illustration among the workers. As a living person, he could not appear on a stamp, but we then can see that the business man in the printed stamp who is pivotal in the recovery efforts is Roosevelt. 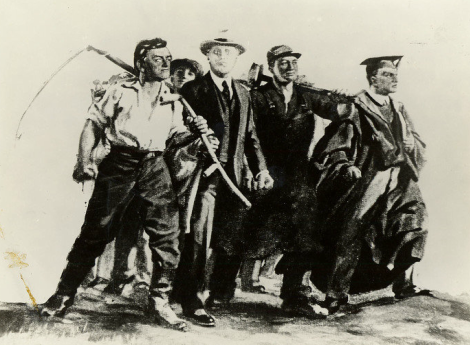 The rejected design also represents academia with a male graduate dressed in cap and gown, and a woman looks over the shoulders of the farmer and Roosevelt, relegated to the background of the image and not standing equally among the men. 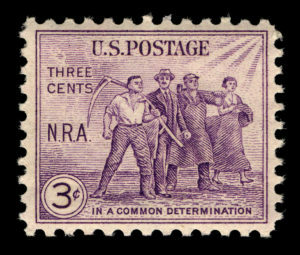 The final NRA stamp represented citizens as active in their own recovery. 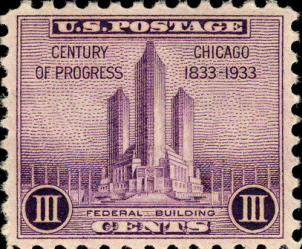 ¶ 11 Leave a comment on paragraph 11 0 By the mid-1930s, the Department connected directly with philatelists in ways that it had not in the many years prior, while it also dramatically expanded the commemorative stamp program to attract new collectors. The President and USPOD together worked to foster positive relationships between collectors and the Department to support the hobby, and to bolster optimism about the future of the US by showcasing specific initiatives, including Admiral Byrd’s trip to Antarctica.